Two unique golf courses in Spain: Links & Heathland ! Alferini Golf is the only Par 73 course on the coast. A magnificent 18-hole course designed by the legendary Severiano Ballesteros ! A beautiful 27-hole parkland course designed by Dave Thomas ! A course designed by Javier Arana. Hosted the European Tour. A fantastic golf course designed by the Landmark Company ! Two spectacular 18-hole courses ! 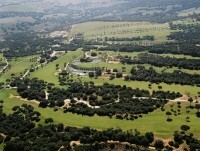 Baviera Golf has been designed by José María Cañizares. A golf course situated in a unique environment ! A pleasant 18-hole course, rather short. A golf course without slopes, ideal for walking and pleasant for any golfer. A famous 36-hole course with 27 holes of Links Championship golf and a 9-hole par 3 course. Designed by Jose Maria Olazabal ! The El Chaparral golf course is a paradise for its spectacular beauty ! Designed by Gary Player in 1973. A pleasant course designed by Manuel Pinero ! Two 18-hole courses will please golfers of all levels. A golf course enjoyed by all players. A famous 18-hole course designed by Antonio Garcia Garrido ! A 9 holes Par 3 training golf course. A challenging course, 6 252 meters long. Ranked as one of the 100 best courses of Continental Europe by the prestigious magazine Golf Digest in the year 2000. 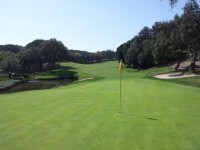 La Canada Golf Club offers a pleasant 18-hole course designed by David Thomas and Robert Trent Jones Senior. Innovative 9-hole course to be played even at night ! A challenging golf course designed by Robert Trent Jones Sr.! A new 18-hole course located in a wholly natural environment ! The first course designed by Jose Maria Olazabal in the province of Huelva ! 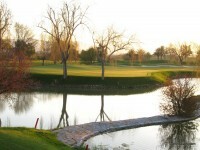 La Quinta Golf Club has 27 holes, divided in 3 courses of 9 holes. A fantastic challenge for any golfer ! A beautiful 27-hole parkland course set at 1 000 feet above sea level ! A challenging course designed by Severiano Ballesteros ! One of the most prominent courses of the region ! A Robert Trent Jones' course design ! Designed by Robert trent Jones Sr. ! A natural 18-hole course designed by Folco Nardi ! A breathtaking course designed by Jose Gancedo. Not to be missed ! 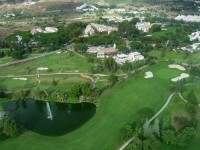 Nine Par 3 holes located in the center of Marbella ! An internationally acclaimed golf course designed by Jack Nicklaus ! A classic parkland course designed by Alejandro Maldonado ! Three oustanding courses designed by Severiano Ballesteros ! A magnificent parkland golf course ! Over the years, the Royal Spanish Golf Federation has selected the golf course at the Parador de Málaga Golf on several occasions for its professional and amateur tournaments in Spain. This course was designed by Robert Trent Jones Sr.
One of the masterpieces of Robert Trent Jones Senior ! A smooth 18-hole golf course designed by Manuel Pinero ! 18 holes split into two different sets of nine : Links & Parkland ! A course located 5 minutes from the center of Marbella. One of the most friendly international golf club on the coast ! A spectacular Cabell B. Robinson design ! A championship course (Par 72) and a Pitch & Putt course (Par 27) ! A really unique 18-hole golf course ! Designed by Robert Trent Jones, Valderrama is ranked as the number 1 golf course in Europe ! One of the most emblematic courses on the Costa del Sol dsigned by Cabell B. Robinson ! This 18-hole golf course will delight the most demanding golfer !